This powerful magnetic balls like all our other Neodymium Magnets is available in store in Montreal, Canada and online. This large Neodymium sphere magnet is perfect for different magnetic experiments or any other project that requires super strong Neodymium magnets. 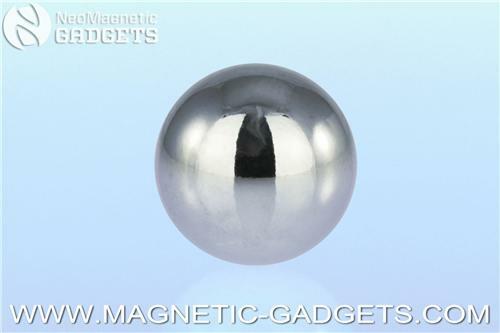 This 1.2cm super strong magnet is the largest magnetic ball magnet that we carry. Make sure to be careful when handling large magnets as Neodymium is a brittle material and will break if magnets are dropped or snapped together.